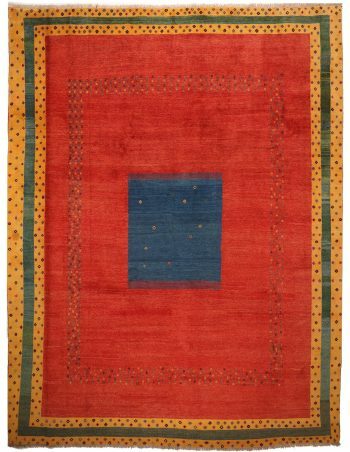 The Gabbeh rug is a hand-woven tribal rug with a simple, naive style, mostly made by nomadic tribes – like the Qashqai and the Afshar – and village workshops in southern Iran and India. 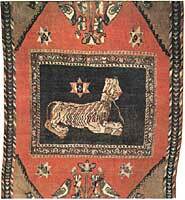 Antique Gabbehs have long piled sleeping rugs from tribes and villages near Shiraz in the Fars province. 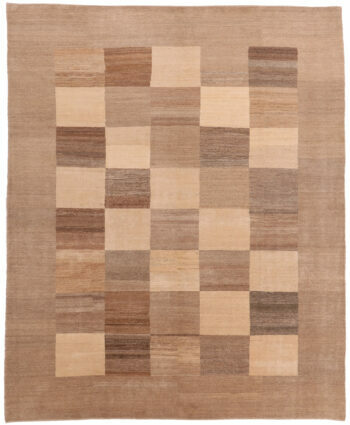 Gabbeh rugs have extremely simple, geometric patterns – or none at all. This makes them well suited for modern homes. Contemporary Gabbeh designs often show large empty fields with stylized animal silhouettes. Sometimes they are just comprised of abstract patterns or simple stripes. Most modern Gabbayeh rugs have bright, lively colours, while older ones can be white or brown. 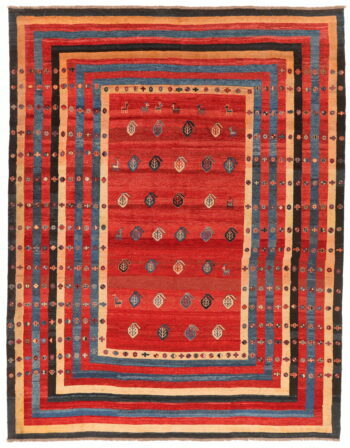 All Gabbeh carpets show strong Turkish and Kurdish influences. Therefore they use also the symmetrical Turkish knot. 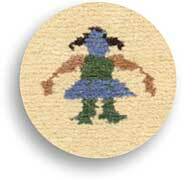 The foundation is either cotton or, especially in the case of the Gabbeh tribal rugs, wool or goat hair. The pile is usually wool from local herds, that has been dyed with natural vegetable and root dyes.